It’s been a while since I put up a post here, but anyone who follows me on Instagram knows I’ve been plenty busy making cool new stuff! The 3D printed GI Joe replacement limb game is going strong. 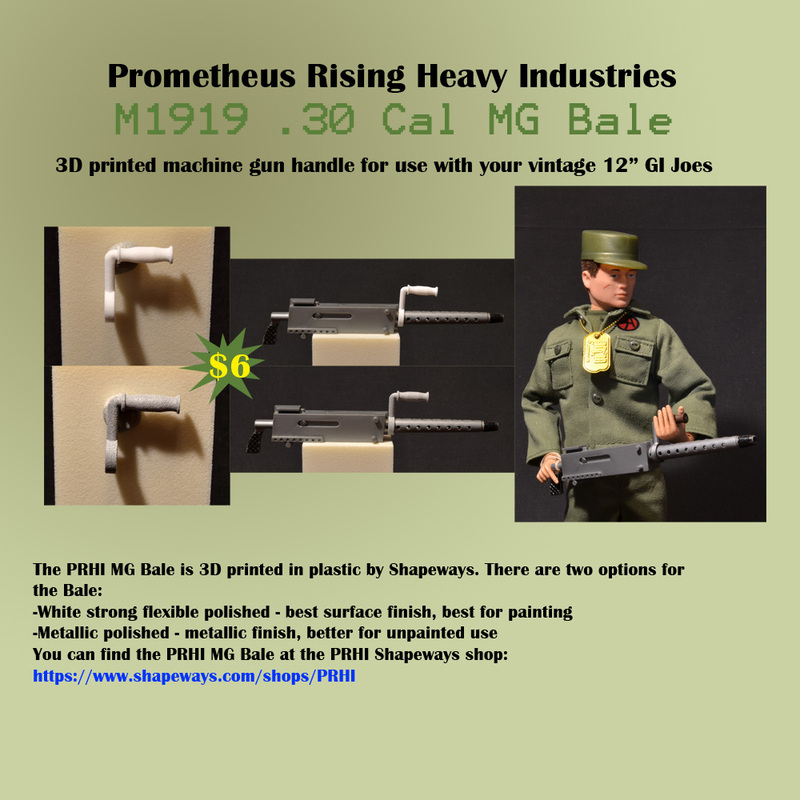 I’ve teamed up with Cotswold Collectibles to bring Prometheus Rising Heavy Industries 3D printed goodies to more collectors, starting with the Solid Arm and Solid Leg, redesigned for easier printing and more color, and a movable thumb! (shown above). Keep an eye on IG and the Cotswold Facebook Page for news about the upcoming first release. While I was updating the Solid Limbs I took the opportunity to finish another project I’ve been working on for a few years now, a full 1/6 scale robot figure. I debuted the PRHI 1/6 scale Machine Heart action figure on IG a few weeks back, and now have photo spreads of the first three prototypes. 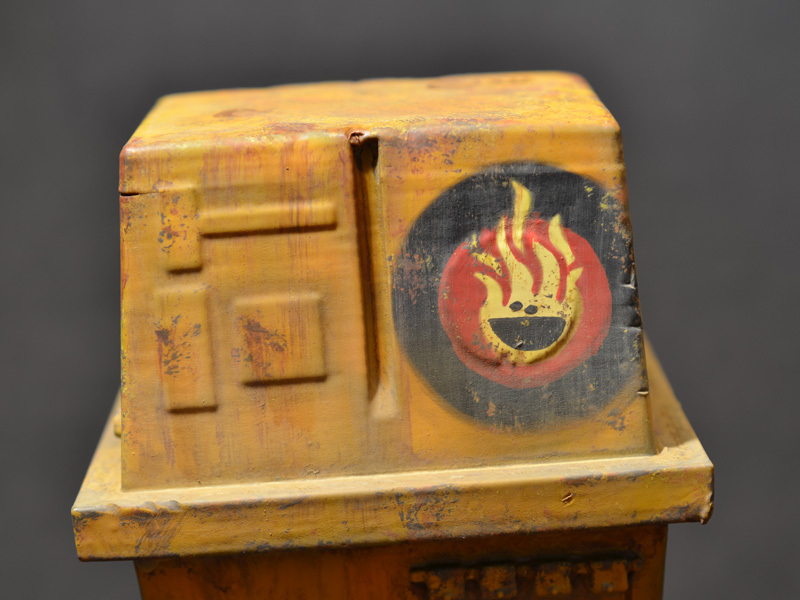 There’s a new product up on the PRHI Shapeways Shop for customizing your GI Joe 12″ figures! Following on from the PRHI Solid Arm bionic arm kit is the PRHI Solid Leg for getting your wounded Joes back up on their feet! The kit will fit on vintage GI Joes as well as reissues and Costwold Elite Brigade bodies. The Solid Leg consists of a shin, foot, and ankle (the ankle and wrist are the same part). 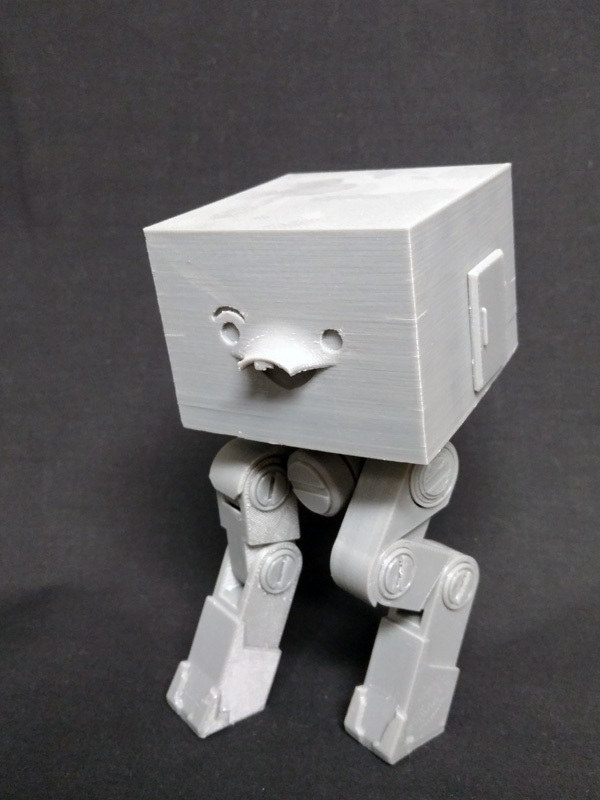 You can order a Solid Leg using the listings in the PRHI Shapeways Shop here. 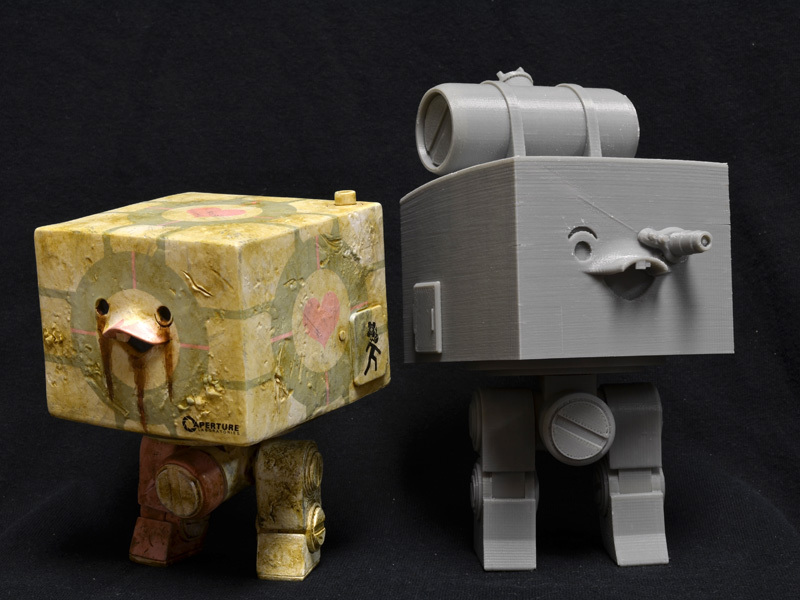 You can also pick up a PRHI Solid Arm using the listings here. The PRHI Solid Arm is a new 3D printed add-on kit for 12″ GI Joes using the vintage style body, including reissue bodies and Cotswold Elite Brigade bodies, and is available now through the PRHI Shapeways Shop. Followers of my Instagram have seen the development process of this kit for a while now, so I am happy to have the final parts from Shapeways in-hand and be able to paint them up! 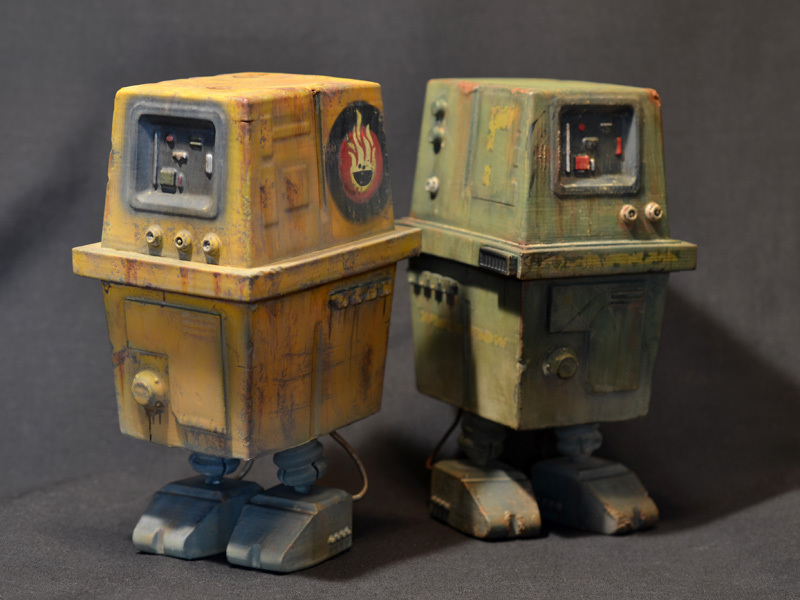 Read on for details on the kits and more pics of my finished, painted arms. Here are download links for the two sets of files. Each is a .zip folder containing all the parts needed to print a PRHI Box. Parts that need to be printed more than once are labeled as such in the filename. These are provided as-is, with no support. If you print one and do something cool with it, send me an email! 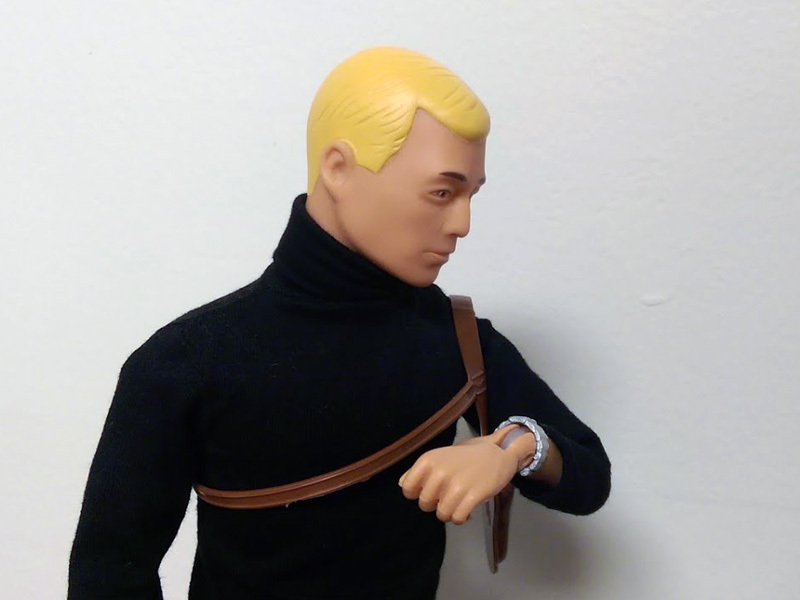 I was working on a James Bond-themed 12″ GI Joe kitbash based on the first teaser of Daniel Craig from SPECTRE, wearing a simple garb reminiscent of the duds Roger Moore wore in Live and Let Die. 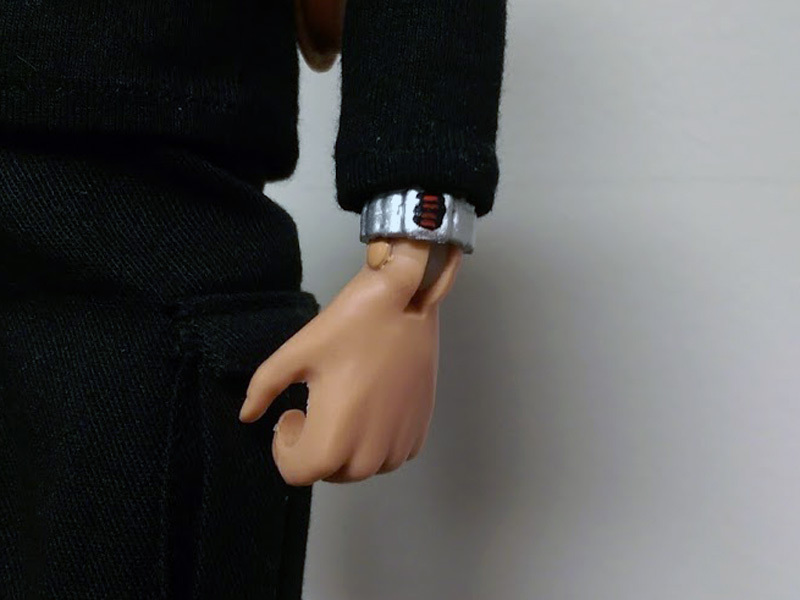 The parts list was pretty easy overall, but there was one critical piece missing, Bond’s watch! Moore’s Bond actually wears a gadget-laden Rolex Submariner for most of the movie, but in his first scene of the film he has on something far cooler, a Pulsar P2 2900 LED watch! 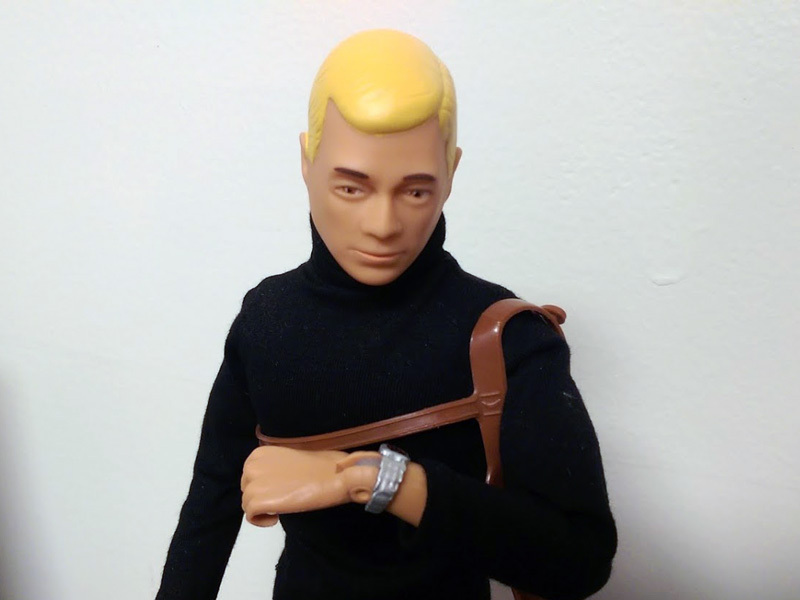 I have a bit of a fascination with LED watches, so I knew I needed to make one to complete my Joe Bond bash. The trick with this model was keeping it small and in-scale looking while representing the metal link band and the shape of the face. 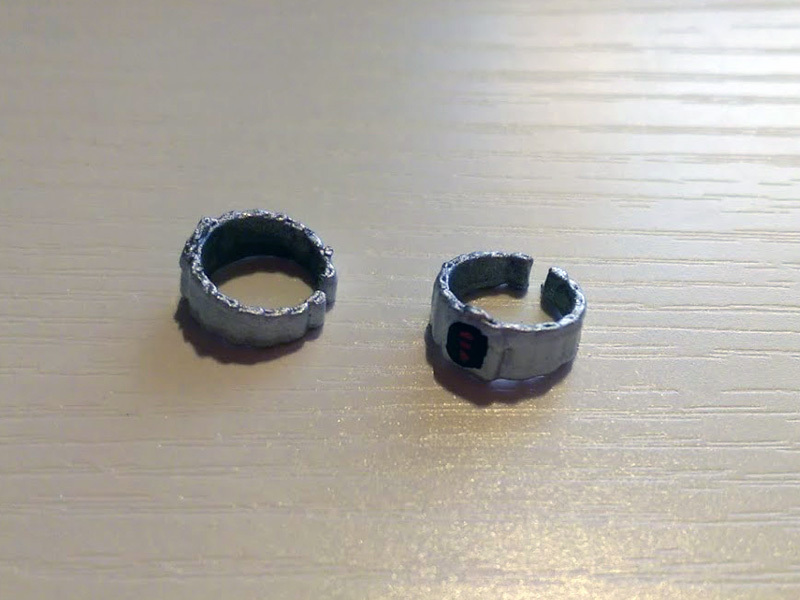 This project really pushed the limit of fine detail capabilities from a home-grade FDM 3D printer, but with a little paint the results look the part. The bale is available in two plastics, White Strong Flexible Polished, and Metallic Plastic Polished. The WSF Polished is the default option, and better for painting. The Metallic plastic is grey with metallic flakes embedded, so it looks decent unpainted. Check after the cut for pics of each version and Joe holding each.